PRICE REDUCED! ALL REMAINING STOCK MUST GO! Our Brite-Saber LED Chase Light Model TWO is now available! 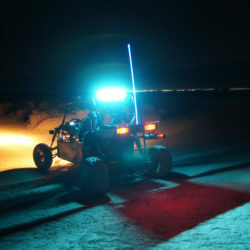 Visibility at night is critical to the safety of any off road vehicle. 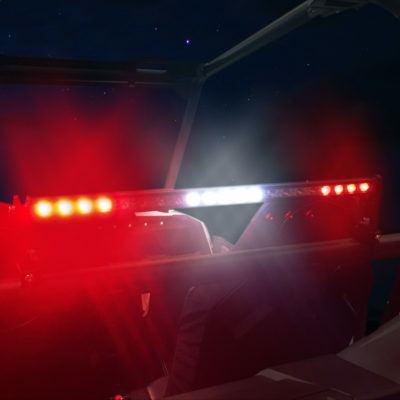 Most off road vehicles have little in the way of lighting on the rear except small tail lights. Our LED Chase Light Model TWO will make the rear of your vehicle easily visible without blinding drivers behind you. Consequently, if you are part of a group this makes it easy for the ‘chase’ vehicles to keep track of you. We have given it 8 different color cycling modes and an RF remote to set them. Wired with or without a switch, use the remote to turn the light on and off in addition to cycling through its color modes. 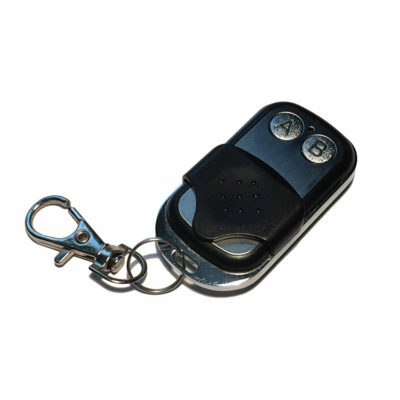 Once set with the remote, the mode is retained whether turned on with the remote or a switch. 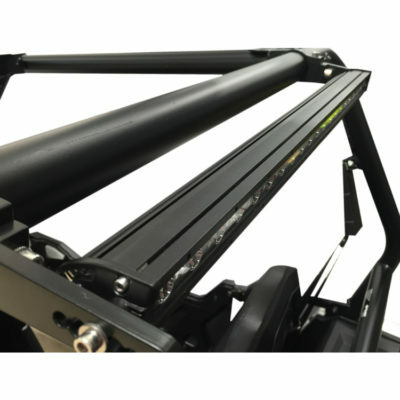 Mount Model TWO to any vehicle with 1 3/4″ – 2″ tube (depending on mount used) and anywhere that its 23.5″ width will fit. Additionally, rotate the light tube on its brackets to adjust the light distribution. Standard brackets are included, optional brackets for rollbar mounting are available HERE. Connecting your Model TWO is simple! Connect the BROWN wire to 12 volt power and the BLUE wire to ground … that’s it! You may see a yellow wire with a green stripe … this wire is not used. 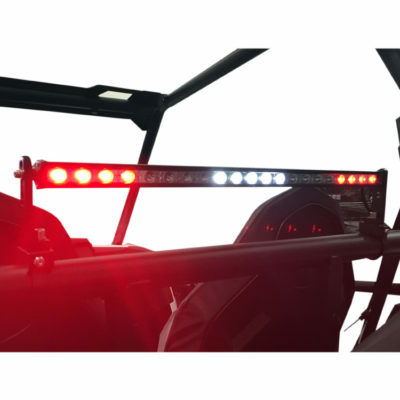 Featuring 21 Super Bright LED’s, waterproof design and machined aluminum construction for durability. In addition, it features adjustable mounting hardware and an RF remote for control of the 8 lighting modes. LED colors are: Red, Blue, and White. 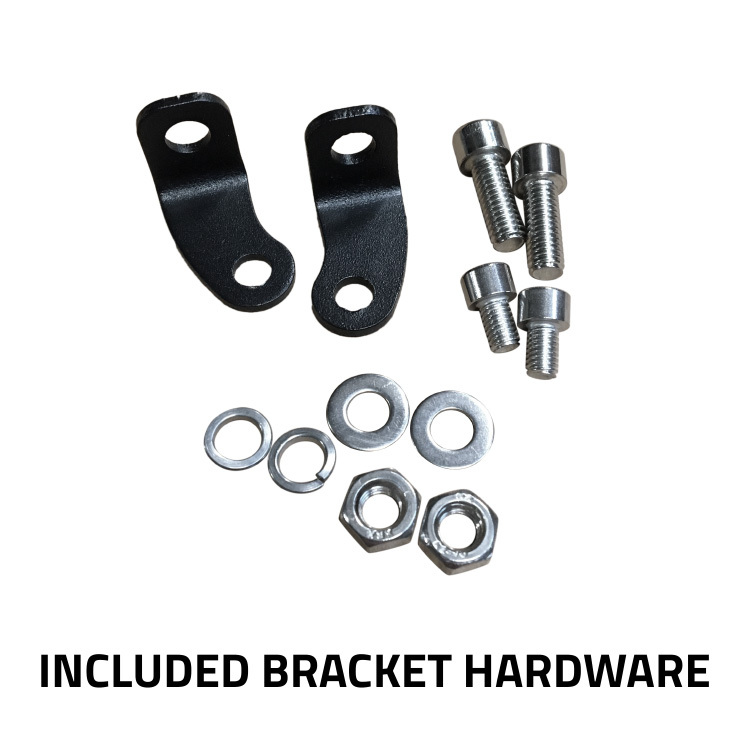 Also available, our LED Chase Light Model ONE and optional Mounting Brackets.